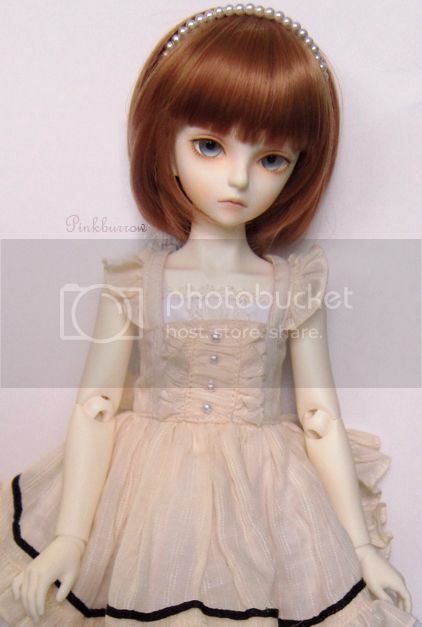 Feel free to discuss and post pictures of DayDream dolls! Thanks for starting this thread! Yay! 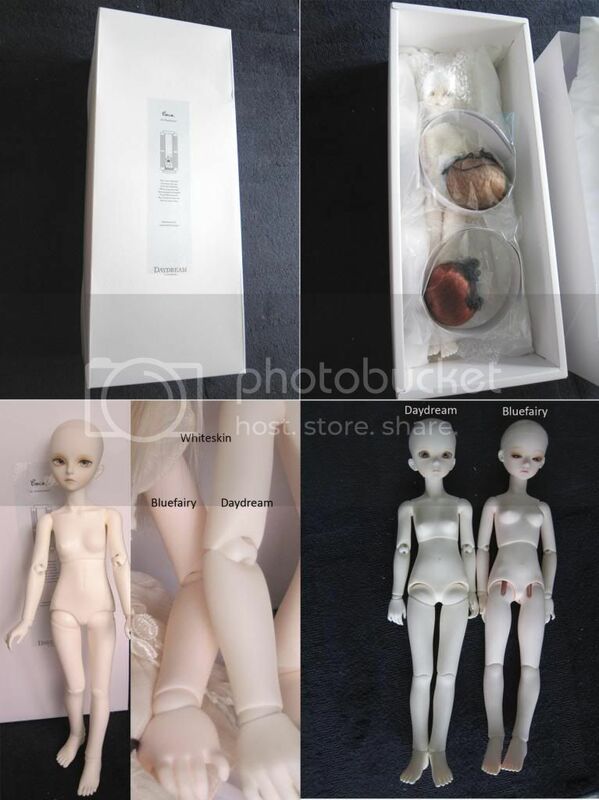 To start things off, here are some pics of Coco's arrival and comparison pics with Tinyfairy. The white looks more like the old Angelregion white, which had no pink tones in it. Looks like they went for a more natural "hang" to the boobage. Robin's "skull" looks larger, but the features look just a tiny bit bigger. What was your verbal impression about how the heads looked switched round? Edit: Those pictures of the normal skin tone (is that a sleeping May head on the DayD body?) have an overall pinkish cast to them. You can tell by the color shift of what appears to be a white floor and grey panel framing. Ahh, thanks for making a page for them; now I can keep up! Is anybody else loving those hands? They're so detailed! hobbywhelmed: you got it right about the chest. I think the body switch looks fine, daydream features are bigger than robin. i'll be really cautious about the normal skin, those photos by sorairo are not the best, very grainy and in artificial lighting. americonedream: haha, those hands are really cute! like how they even bothered with the palm, giving it crease. Yeah, little details like that really show how much love and care the sculptors put into their dolls; makes them extra special. I doubt the Daydream girls can wear Bluefairy shoes or clothes though. Especially the shoes; such big feet! Yay fow this new thread! Thanks for sharing those comparison pictures and the sora*iro instagram. 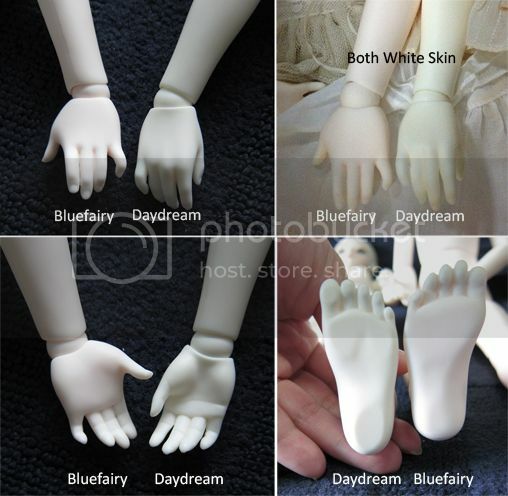 Daydream's feet isn't that big, it's actually about the same size, can wear the bluefairy maryjane. In terms of clothes, my coco is wearing blossom lousia's inner white dress. As long as the clothes are not body fitting and have abit of space, daydream can wear them =). some hand swap pics....so did anyone else order the daydream girls? So here is Akio sans glasses just back from getting his new face-up with my just arrived new Sayuri, another WS Coco. Yay, another Coco! I hope lots of doa members ordered Daydream girls so we can see them all show up here. Yay! the daydream girls are coming in! awesome! Im looking forward to see owners pics of sally! I hope the arrival of the dolls means Daydream will start selling basic stuff on their main site! I hope so too, the glass eyes are amazing, im really looking forward to their clothes and shoes. Here's a photo of my girl, finally had time to play with her, really loving her hands! pinkburrow Your Coco is gorgeous, have you named her? I got my shipping notification from Daydream today, I'm pretty sure I was the last one to preorder since I did it after they were finished (Oops!) The Pages are such nice people!! Last_bus_home: thank you! coco's whiteskin is beautiful..and her hands! Her name remains as Coco, haha, i dont normally name my msd girls. I hope you'll be able to bond with your girl when she arrives. I had to change my girl's clothes and wigs a couple of times before i bonded with coco =). Might I push in a request to see if these lovely bodies can pull off leg-hugging poses? Their unusual hips lead me to believe they can. Oh, that's too bad. :c I hope seeing her changes your mind!